Home » Coconut Sugar and Evaporated Cane Juice: Health Foods or Hype? As they say, nothing’s perfect. Both date sugar and blackstrap molasses have some real-world drawbacks. Date sugar tends to be pricey, and because it’s made from ground-up whole dates, it doesn’t dissolve in its most pure, raw form. Raw date sugar, paste and syrup can add a gritty texture to foods and isn’t suitable for beverages. 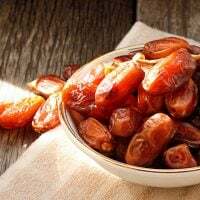 When date sugar is boiled down and strained to make commercial or homemade date paste or syrup, however, it will indeed dissolve. Blackstrap molasses, on the other hand, a byproduct of the cane sugar milling process with relatively high trace mineral content, has a strong flavor profile which limits its use to complementary items ranging from ginger snaps to roasted glazed vegetables. So what’s a plant-based cook or eater to do when date sugar or blackstrap molasses just won’t work? We’ll explore some other options in this, the fifth article in the Plant-Based Cooking sweetener series. First, let’s remember that white table sugar is commercially processed and refined. The process is somewhat different depending on whether the sugar comes from sugar canes or beets. Sugar cane, for instance, is chemically clarified and decolored. Sometimes “bone char,” the charred remains of animal bones, is used to whiten sugar cane. You avoid this extra processing when you use a natural sugar such as the two we discuss below, coconut sugar and evaporated cane juice. But in other ways, as you’ll see, natural sugars are still fundamentally just sugars. Coconut sugar is derived from the evaporated sap of the flower bud stem of the coconut palm tree, not from coconut flesh as you might have assumed, and has gained in popularity in recent years as health-conscious eaters have increasingly sought out alternatives to refined sugar. Like evaporated cane juice, coconut sugar is brown and granulated and can be used as a replacement for common table sugar, although it’s a bit more coarse. Both table sugar and coconut sugar have 15 calories per teaspoon. The flavor of coconut sugar is perhaps most similar to brown sugar, sweet with a hint of caramel or toffee, which should be kept in mind when deciding whether to use it with a particular recipe. Coconut sugar is noticeably less sweet than cane sugar, by some estimates as much as 25 percent less sweet, which means that you could need to use more depending on taste preferences. The positive side of this is that coconut sugar has a glycemic index of 35 and is considered a low-glycemic sweetener, versus a glycemic index of 64 for cane sugar. The glycemic index is a numerical scale used to rank the rapidity with which various carbohydrates cause blood sugar to rise or spike. The index ranges from a low of zero, indicating the most gradual blood sugar rise, to a high of 100, which indicates the most rapid blood sugar increase. Pure glucose, with a GI of 100, is the reference point for the scale. Foods with a GI under 55 are considered low-glycemic, while foods between 70-100 are considered high-glycemic and, as you’ll see below, are best avoided as much as possible. Foods lower on the glycemic index are preferable because our bodies function best with stable blood sugar levels. 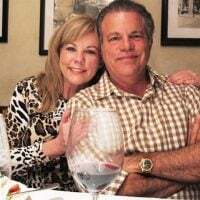 Rapid rises in blood sugar can be followed by blood sugar “crashes,” a condition also known as hypoglycemia, due to the body releasing too much insulin as it attempts to stabilize blood sugar following a sudden spike. This process, in turn, can lead to hunger and more eating and is associated with an increased risk of type 2 diabetes, heart disease and being overweight. There’s preliminary evidence that high-glycemic index foods may be associated as well with colorectal cancer, ovulatory infertility and age-related macular degeneration. Foods with a lower GI, on the other hand, are believed to create a feeling of fullness which can prevent overeating and the increasing number of conditions that accompany being overweight. Low-glycemic diets may also have an anti-inflammatory effect. 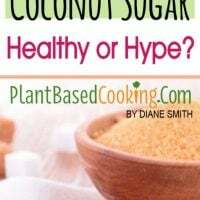 UPDATE ON COCONUT SUGAR (11-16-18): As I have recently started using the Plantricious seal on some of my recipes, I see that coconut sugar is on the "not approved" list because they consider it "too processed." With sugar substitutes, it's best to use them in moderation. Approved sweeteners are maple syrup, date sugar, and molasses. Coconut sugar contains inulin, a type of fiber, which may be what helps to slow down the body’s absorption of coconut sugar. Inulin has the added benefit of being a prebiotic, meaning it helps to feed the good bacteria in our intestinal tract, leading to healthy gut flora. Healthy intestinal bifidobacteria, a fancy name for gut bacteria, are associated with an increasing number of significant health benefits, from colon cancer prevention to balanced blood sugar levels, bone mineralization and immunity, among others. Coconut sugar is slightly lower in fructose than table sugar, but perhaps not enough to be considered a health advantage. Coconut sugar consists of about 70 percent sucrose, and about 3 percent each fructose and glucose, compared to table sugar, which consists of 50 percent fructose and 50 percent glucose. The sucrose in coconut sugar, in turn, breaks down into fructose and glucose, so that brings the total percentage of fructose in coconut sugar to about 38 percent, versus 50 percent in table sugar. Why is fructose a concern at all? Fructose is different from other sugars because of the way that it’s processed by the body. It is processed only by the liver and is more fat-producing than glucose. Unlike glucose, fructose doesn’t stimulate the release of two critical hormones – insulin, which regulates blood sugar, and leptin, which manages energy intake and expenditure. High fructose intake is associated with insulin resistance, a medical condition which is a precursor to diabetes. Glucose, just for the record, is the body’s preferred energy source. It’s what blood sugar is made of. As you can see, coconut sugar consists of about 78 percent sugar versus the 100 percent sugar composition of refined sugar. The remaining 22 percent of coconut sugar consists of nutrients, inulin, antioxidants and phytonutrients. This composition could be considered a health advantage, but not if you end up using more to make up for the decreased sweetness! Despite this chemical composition and the “healthy sweetener” hype, the amount of vitamins and minerals in coconut sugar is fairly small. However, coconut sugar does contain some phytonutrients, specifically polyphenols, flavonoids and anthocyanidins. 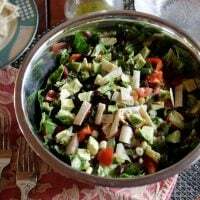 Phytonutrients, or phytochemicals, are compounds found in plants which may help support overall human health and help prevent disease. Refined sugar, on the other hand, has zero vitamins, minerals and phytonutrients. On a practical note, coconut sugar can easily be made into a much healthier substitute for confectioner’s sugar. Add one tablespoon of arrowroot powder per cup of coconut sugar and blend until silky smooth in a coffee grinder or in a food processor at high power. Coconut “confectioner’s sugar,” however, will not be quite as powdery and fine as regular confectioner’s sugar. And, yes, like date sugar and blackstrap molasses, coconut sugar has its own drawbacks when it comes to baking. In traditional baked goods, refined sugar not only adds sweetness but also helps to create moistness, structure and chewiness through a chemical bonding that occurs between sugar and water. 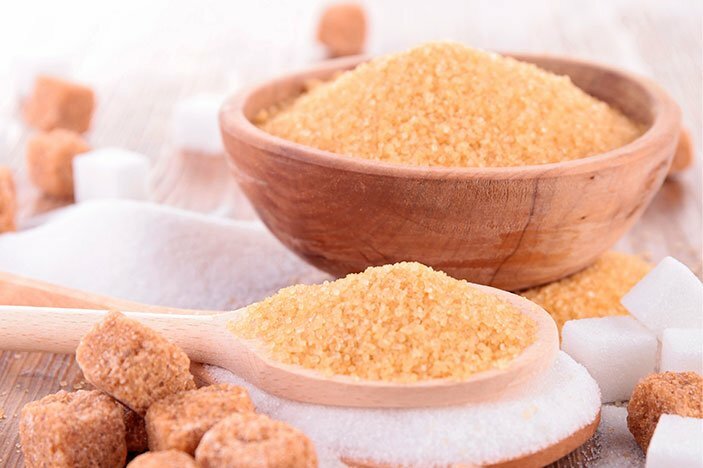 Unrefined sugars such as coconut sugar (and evaporated cane juice below) have different chemical properties and unfortunately won’t perform exactly the same way that refined sugar does. And one last plug for coconut sugar – it’s Bon Appetit magazine’s “favorite alt-sugar.” That oughta be good enough for some folks! Like coconut sugar, evaporated cane juice comes from the sap of a plant, in this case, the sugar cane plant. (Refined table sugar can come from either sugar cane or sugar beets.) If you’ve ever seen evaporated cane juice, you know that it looks very different from table sugar. Sugar cane juice is mechanically extracted, then heated and cooled. What comes out is a light brown coarse powder with a somewhat gritty, crumbly texture. Evaporated cane juice retains the “molasses” part of the sugar, including the trace amounts of nutrients contained therein. It also retains some of the flavor of molasses, so, like coconut sugar, it doesn’t offer just pure sweetness, but sweetness colored with certain overtones. You’ll have to compare coconut sugar and evaporated cane juice for yourself to decide which of the flavor profiles you prefer, or which are most appropriate for which types of recipes. The gritty texture of evaporated cane juice means that it doesn’t always dissolve as quickly when baking as you would ideally like it to. You might consider grinding evaporated cane juice in a spice or coffee grinder before adding it to baked goods. Despite our wishful thinking, coconut sugar and evaporated cane juice, although more natural products than conventional table sugar, are not exactly healthy foods. They’re still mostly sweetness and calories and offer little real nutritional value. These two are definitely better choices than refined table sugar but are still best used sparingly as part of a whole food plant-based diet. Stay tuned for the next and final article in this series on sugar where I'll discuss sugar substitutes and summarize the best and worst of natural sweeteners. What about you? Do you have a favorite sugar that you like to use? I haven’t heard of the flour, but I have heard of monk fruit as a sugar substitute. I hope to cover that in the next article on sugar substitutes. Wouldn’t that be interesting a cake with no flour or sugar! This article answered several questions that I had about both products. Thank you.